Fish mislabeling in restaurants is a worldwide problem, and in Arkansas one of the most popular fish consumed — catfish — is at times misidentified on menus. Since 2016 state officials have worked hard to solve this problem, Arkansas Bureau of Standards supervisor Roger Frazier told Talk Business & Politics. Accuracy on menus helps to protect U.S. catfish farmers and allows customers to make educated decisions about what they’re ingesting, he said. The central issue is how a catfish is raised. Consumers have a right to know if the fish they’re buying is farm raised, wild caught in a river, lake or ocean, or if it’s imported, he said. The U.S. has strict standards on how catfish have to be raised, and in other countries, such as Vietnam, those standards are much more lax, according to Frazier. Inspectors in Arkansas have been doing random field tests since 2007. Out of the 2,128 restaurants that were inspected, about 65% have been in compliance to date, he said. Efforts were ramped up starting in October 2016. Since then, 626 inspections have been done and the compliance rate has ballooned to about 95%. Those not in compliance have 10 days to take corrective actions, he said. If an owner doesn’t comply, he could face possible civil penalties. To date, every non-compliant restaurant has fixed their menu, Frazier said. “It’s often just a wording problem,” he said. There are 13 inspectors that travel the state conducting inspections. Invoices are checked and occasionally the actual fish are examined. The Arkansas Department of Health can conduct DNA testing on fish if necessary, Frazier said. One of the most common fish imported as “catfish” from Vietnam is a species known as pangasius, according to the United States Department of Agriculture. Vietnamese fish are often exposed to antibiotics not allowed in the U.S. Many are grown in small spaces that stress the animals and make them more susceptible to disease. These fish often have higher instances of bacterial infection and they’re often grown in waste and sludge. USDA has placed tighter restrictions in recent years on imported fish from Vietnam. Catfish farming is a significant agriculture sector in the U.S. Catfish growers sold $380 million in 2017, a 2% drop from the previous year, the USDA reported. The top four catfish producing states — Mississippi, Alabama, Arkansas and Texas — accounted for 96% of U.S. sales. The total U.S. food size sales were $355 million, also a 2% drop from 2016. Stocker sales dropped by almost 20% ($980,000) to $4.5 million in 2017. 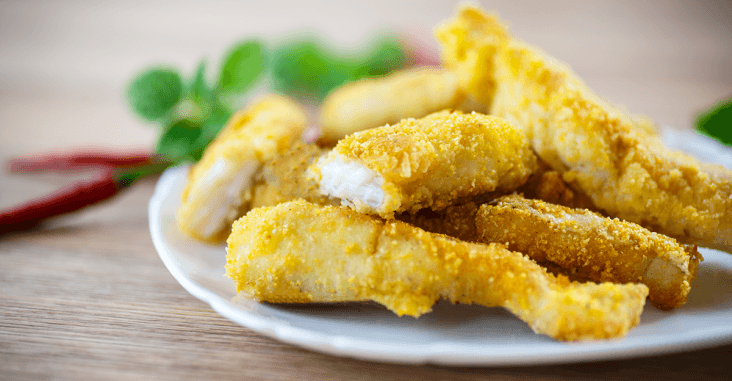 Fingerling and fry sales were up 11% to $18.7 million. As of Jan. 1, catfish producers utilized 61,900 water acres, up 2% from the 60,800 thousand acres used a year earlier. Arkansas catfish growers may be poised for a good year in 2018. According to a recent catfish production report from the USDA National Agricultural Statistics Service (NASS), Arkansas catfish producers had 10.3 million food size fish at the start of the year, up 61% from 2016. Arkansas catfish growers had food size fish sales of $18.1 million during 2017, up 7% from 2016. Frazier said his agency’s effort to improve consumer awareness have worked, but there’s more to do. Inspectors will continue to blanket the state to protect consumers and state catfish farmers. “You need to know, and have a right to know, what you’re eating,” Frazier said.